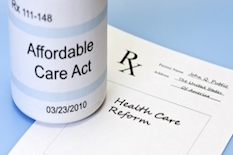 A new study by University of Maryland School of Public Health researchers and colleagues is the first to show the financial impact of the Affordable Care Act on young adults who access mental health and substance abuse treatment. Young adults may remain on their family’s health plans until they turn 26, under the extended eligibility coverage provided since 2010 by the Affordable Care Act (ACA), the nation’s health care law known commonly as “Obamacare.” The Maryland study found that this coverage has significantly reduced out-of-pocket costs for adults aged 19 to 25 seeking behavioral health care, and that the reduction was most significant among young adults from racial and ethnic minority groups. This improved access to care is important, given the low incomes, high debt burden and mental health needs that characterize this age group. The research findings were published May 16, 2016 in the journal Psychiatric Services. “Our study is the first to show how the ACA has helped protect young adults from undue financial burdens of out-of-pocket health costs, and allowed them to use mental health services when they need them,” says Dr. Jie Chen, assistant professor of health services administration at the University of Maryland School of Public Health and an author of the study. The “dependent coverage provision” of the ACA has reduced the number of uninsured young adults by at least three million, and the expansion of health care access is also expected to increase the number of users of mental health and substance abuse treatment services, study authors explain. As behavioral health conditions often emerge for the first time during this age range (19-25) and because this age group has a higher rate of serious mental illness than other adults (according to the National Alliance on Mental Illness), improving affordable access to care could make a significant contribution to improving mental health and reducing their share of medical debt. Researchers analyzed nationally representative data from the Medical Expenditure Panel Survey from 2008-2009 (before the ACA implementation) and 2011-2012 (after the ACA implementation) to estimate the impact of the dependent coverage expansion. Out-of-pocket spending was examined as a share of total health care spending among young adults with behavioral health needs. The young adults who benefited from dependent coverage on behavioral health were approximately 45 percent less likely to encounter catastrophic health expenses (i.e., 75 percent out-of-pocket share of health care costs) under the ACA’s dependent coverage expansion. “The ACA’s Dependent Coverage Expansion and Out-of-Pocket Spending by Young Adults With Behavioral Health Conditions” was written by Mir M. Ali, Ph.D., Jie Chen, Ph.D., Ryan Mutter, Ph.D., Priscilla Novak, M.S., Karoline Mortensen, Ph.D and published in Psychiatric Services.